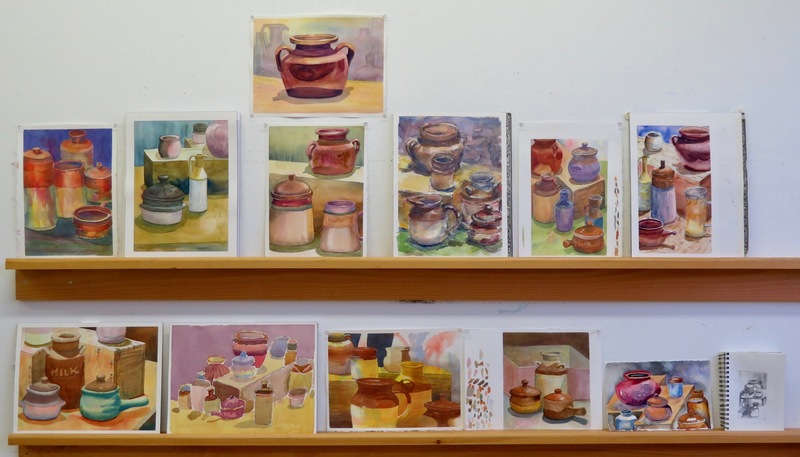 « Wednesday Watercolour at DVSA – Week Three! This entry was posted on 31/10/2018 at 10:42 am and is filed under Arts on Adrian, Barry's Demonstrations, Sketching, Studio Classes. You can follow any responses to this entry through the RSS 2.0 feed. You can leave a response, or trackback from your own site. I recall you doing the same ‘break down’ approach on a dory from Grand Manan which resulted in making a complicated shape into a very easy one. Here you have done the same with excellent results. I do enjoy these Blog Posts. Thanks! It’s always great to get such nice feedback.